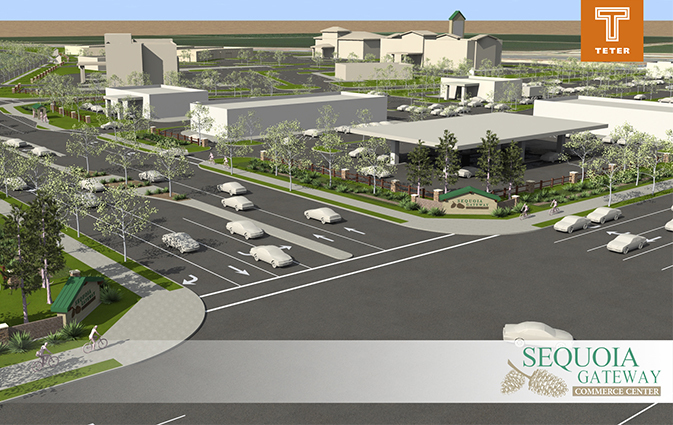 A South Valley commercial, mixed-use project is being proposed to provide services to motorists as well as a visitor’s center and tax revenue to Tulare County and Visalia. The project is being proposed for the southeast corner of Caldwell Avenue and Highway 99 in Visalia. A major part of this project will be the Valley Children’s Medical Group’s new Specialty Care Center that, once completed, will tend to about 30,000 South Valley patients each year over the next decade. 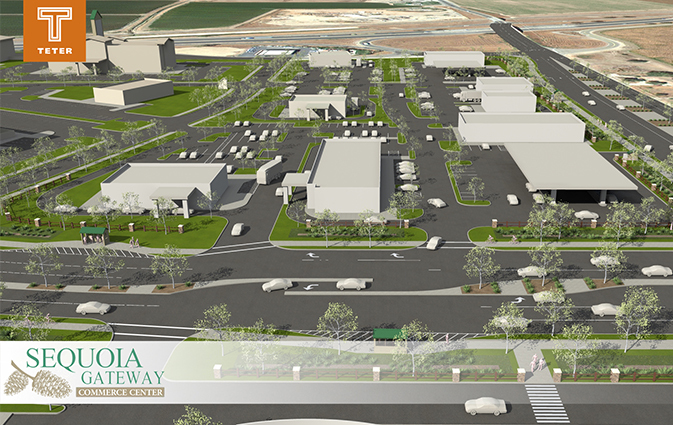 This project, The Sequoia Gateway Commerce Center, proposed by Sequoia Gateway LLC Partners Fred Ruiz and Bill Travis, will be built in phases over the next eight to 10 years. The pediatric Specialty Care Center clinic would be built first, with hotels, restaurants, retail stores, and a visitor’s center being built at full build out. There are also plans for signals at the north and southbound highway ramps and other circulation improvements for a cost of $10.5 million. Upon approval of an environmental impact report, construction is expected to begin on the 12-acre first phase in 2019 and new businesses and highway commercial uses might open as early as the beginning of 2020. The Sequoia Gateway is located in unincorporated Tulare County, planners expect the project to be incorporated into the City of Visalia and a tax revenue sharing agreement between city and county is in the works. Conceptual rendering and massing model, designed by TETER, for the proposed commercial mixed-use project in Visalia includes a medical specialty care facility, motorist services, a hotel, and a visitor center.